Despite the name of this series, it was never really going to be a nightly thing. More of a “whenever I damn well feel like typing about the beers I’m drinking” sort of thing. So you understand. 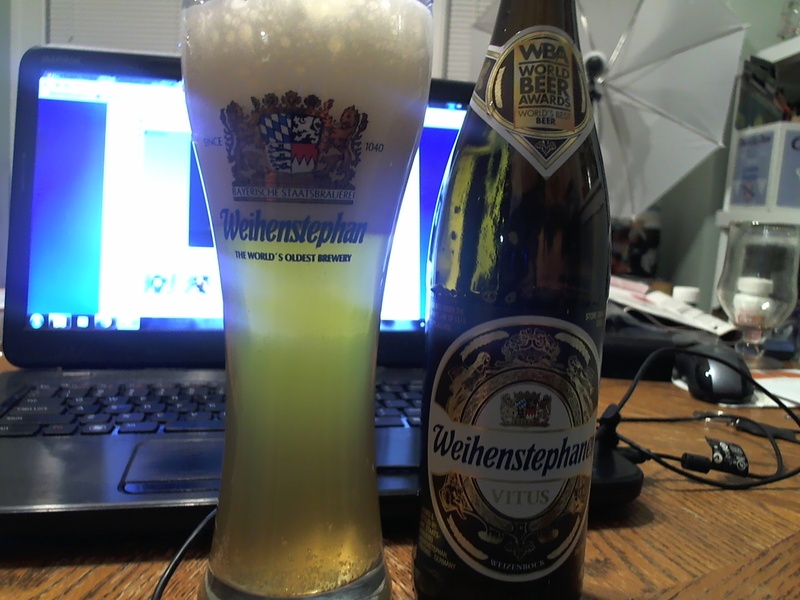 Tonight, I figured I’d drink a bit of German beer and go for one of my favorite Weizenbocks, Weihenstephaner Vitus. In my Weihenstephan weizen glass, no less. Forgive the mess on my table. Smells strongly of banana/clove. Definite yeast ester going on. 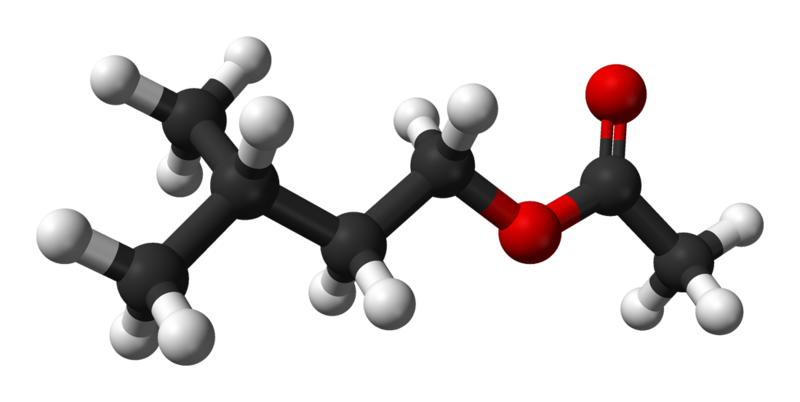 Isopentyl acetate FTW! Tastes clean, smooth, definite banana notes, hints of bubblegum. Maybe it’s the exhaustion from my fourteen-hour class/work day talking, but I don’t even taste the alcohol tonight. Schneider-Weiss Aventinus gets the press (and perhaps has a touch more complexity) but this one is top-notch as it is. 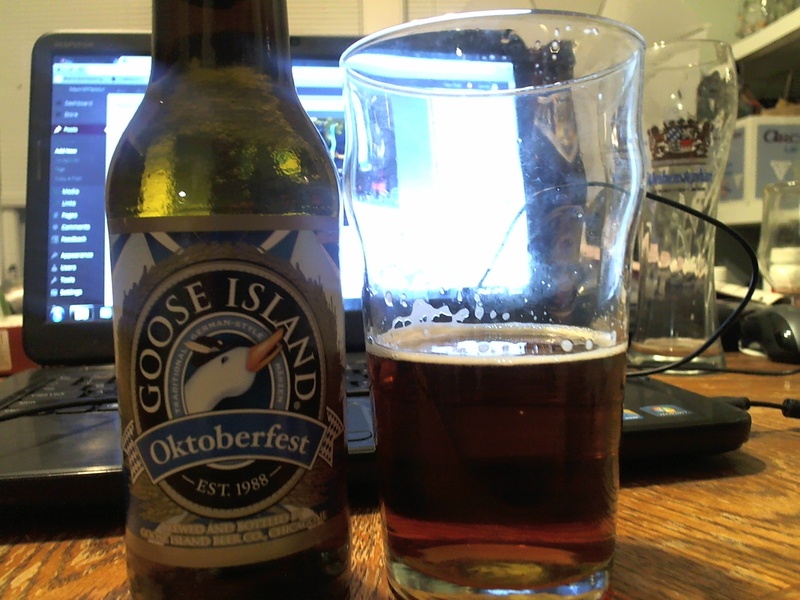 Next up, Goose Island Oktoberfest. This is the first year I’ve seen this one, so I definitely had to give it a try. A lot of beer geeks discount Oktoberfest season because the beers just aren’t as aggressively flavorful as sours, DIPAs, barrel-aged monstrosities and the like, but it’s actually become one of my favorite times of the year, beer-wise. When else do you have a season that is predominantly interested in flavorful lagers? Lagers, the red-headed stepchild of the beer geek family, rarely get the attention they deserve. How’s this one? Eh, about average. 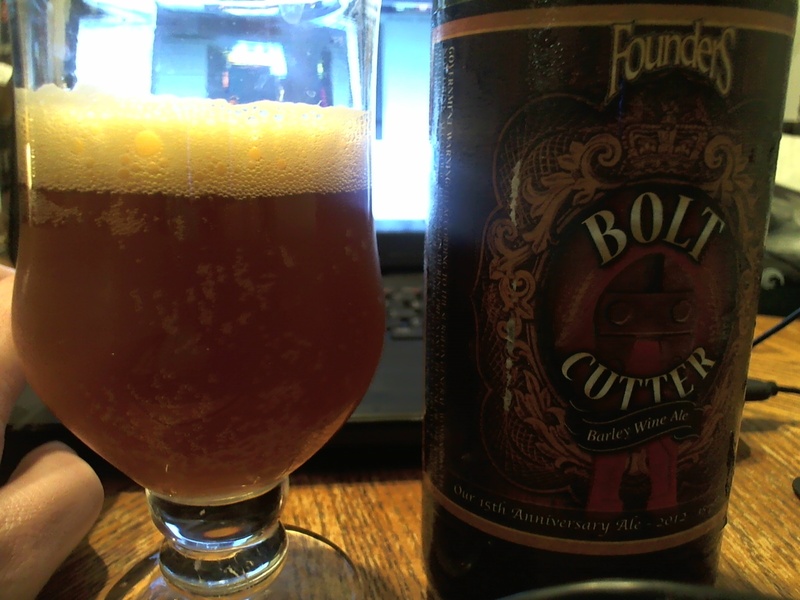 A bit overly sweet for my taste, but with a crackery dry aroma and flavor. Pretty much exactly what you expect from a beer like this. InBev or no InBev, it’s worth trying if you get a chance. Relatively cheap, too. A rather old, rare, and unique German beer style, Kellerbiers are unfiltered and unpasteurized lagers that date back to at least the Middle Ages. The beer is matured, unbunged (beer is exposed), in deep vaults. The final product is a smooth, naturally cloudy beer that’s rich in vitamins (from the yeast). Hop bitterness can be high and alcohol will vary. 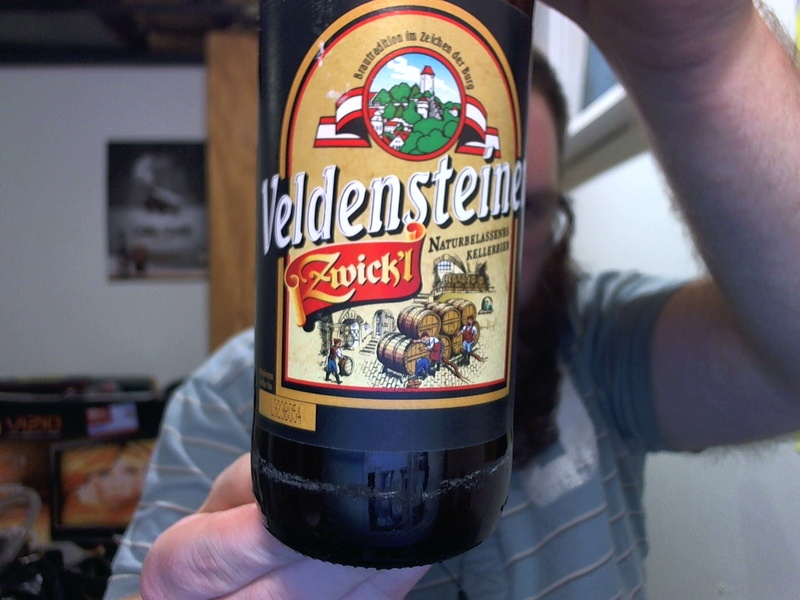 Zwickel Bier is similar to a Keller, but not as pronounced. Sounds like a nice after-work beer. Let’s give it a shot. I know a lot of people love these swing-top bottles, but I’m not a fan. They don’t really hold carbonation as well as a crown cap, and they tend to pop off and explode if the beer hasn’t been babied. Just a personal preference. Anyway, this one didn’t explode on me but it did start to foam up a bit. 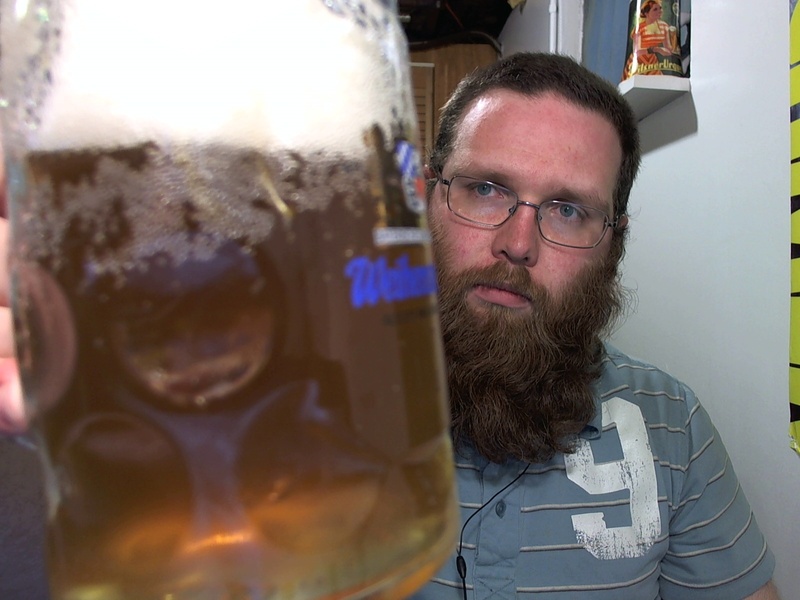 Poured into my half-liter Weihenstephaner mug and the head actually spilled over the side of the glass a bit. Whoops. Dark dingy orange/brown body with a thick white head made up of big bubbles. Head dissipates quickly. Lots of carbonation in the beer but not so much protein. Smells sweet, “lagery,” with that slight caramel note that you get from sweeter German lager. No real hops to speak of. Slightly grainy. Tastes clean, with a nice golden malt character and a sweet earthy aftertaste. It’s been stored well if it is aged “un-bunged,” as there’s no sourness or off flavors at all. Significant yeast in the bottom of the bottle — when I pour it in I get a lot more bready and yeasty notes. It’s a bit pricey here in the States ($4.99/bottle) but I could see drinking something like this regularly if it were made locally and inexpensively. Not sure why this style isn’t more popular, unless it’s just the need for extended cellar times.